Fresh Bakery. Pancakes With Forest Berries And Honey On White Plate And Black Smoke Background. Copy Space. Homemade Healthy Breakfast. Yummy Food, Dessert Concept. Foto Royalty Free, Gravuras, Imagens E Banco De Fotografias. Image 114171149. Banco de Imagens - Fresh bakery. 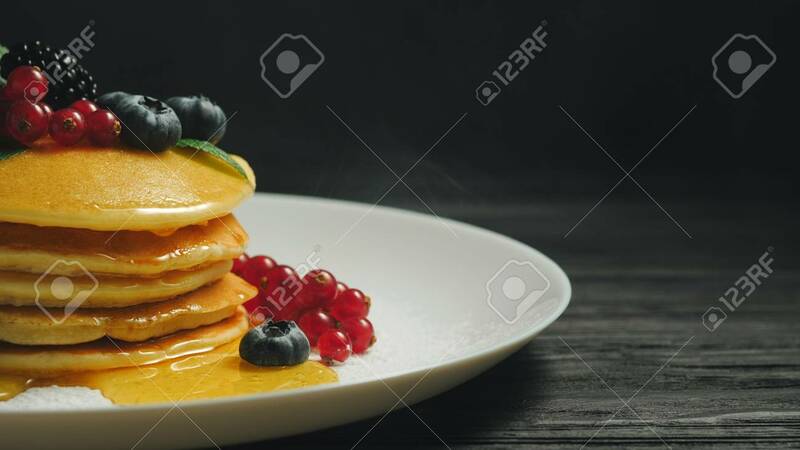 Pancakes with forest berries and honey on white plate and black smoke background. Copy space. Homemade healthy breakfast. Yummy food, dessert concept. Fresh bakery. Pancakes with forest berries and honey on white plate and black smoke background. Copy space. Homemade healthy breakfast. Yummy food, dessert concept.